The project aims to develop a new type of table egg with a new functionality, given by high content of antioxidants represented by carotenoid pigments biosynthesized by carotenoid yeasts, and the presence of trace elements, but also with sensory qualities accepted by consumers. Technologies: a technology for obtaining carotenoid yeast biomass enriched in microelements; a technology for obtaining nutritional solutions for feeding laying hens. 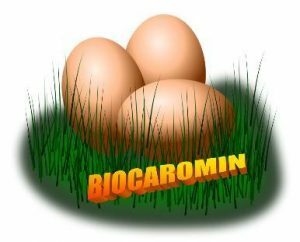 Products: a new type of egg, enriched in carotenoid pigments and trace elements, with beneficial properties for health; new fodder based on biomass of carotenoid yeast and trace elements. Benefits for egg producers and consumers: application of end products to poultry industry brings economic profits and consumers benefit from products with excellent nutritional value and health potential; enhancing knowledge about functional foods and their role in preventing the development of chronic diseases; innovative ways to turn agri-food by-products into high quality end products (a new type of egg and feed).